A Couple of Sweet Buys - Jill Ruth & Co. I've had the pleasure of an auction and quite a few garage sales over the past 2 weeks. I haven't taken pictures of all the treasures, but just had to show you two of my favorites. This table was holding items for sale at a garage sale. Usually when you see a piece used for display and ask if it's for sale, it's not...but, this time it was! 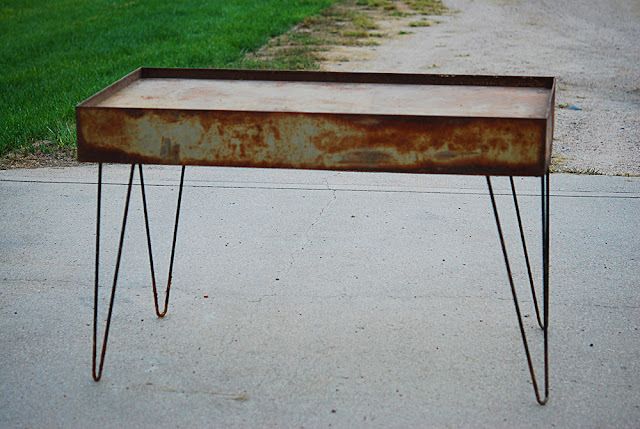 It's has a beautiful rust patina and get this, it's collapsible!! 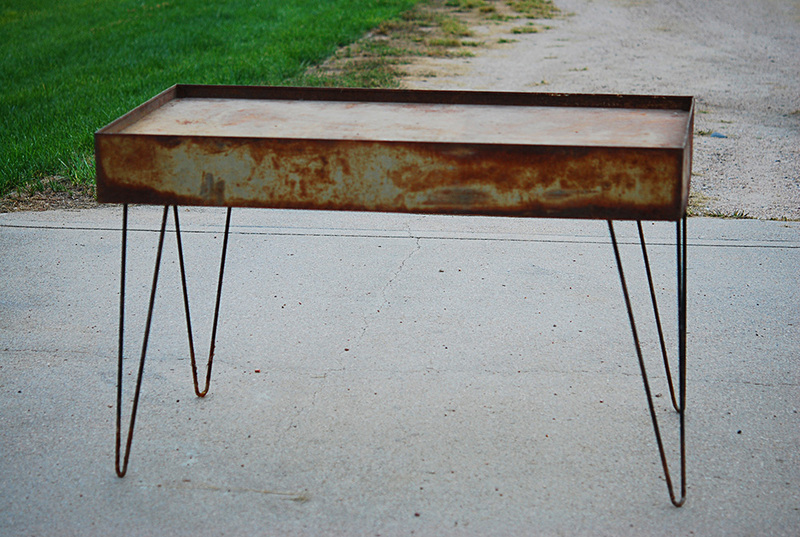 It's a folding table and the legs easily fold down into the top. It needs a good cleaning followed by a spray coat of finish and will be just perfect. 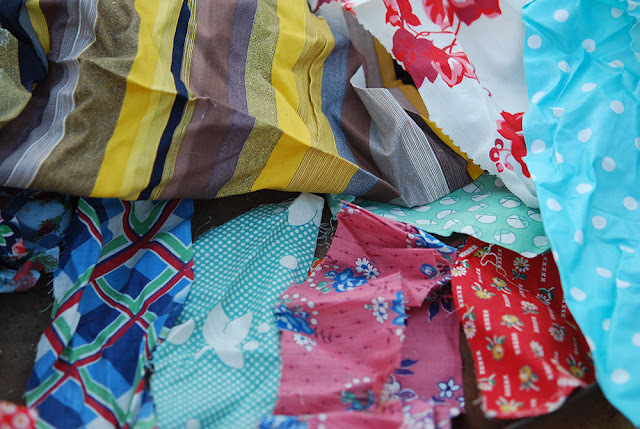 On the same outing, I found a LARGE bag of vintage fabric scraps! The table is 4' by 2' so you can see this a quite a pile. They were all compacted too. Once I started "fluffing" them the pile grew! I picked out a few of the scraps to show you why I was excited. 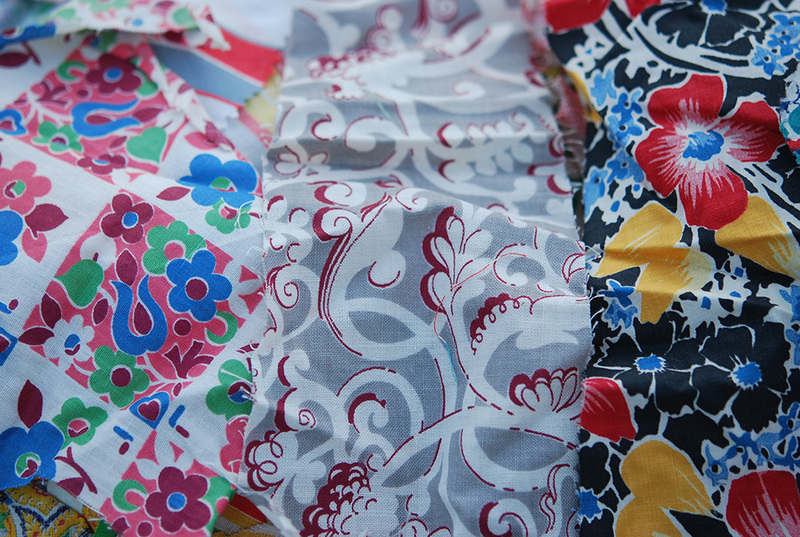 Just some seriously cool vintage patterns. Besides all the scrappy projects that I will use these in, I'd like to come up with some sort of display to just showcase vintage prints. I keep thinking of small squares of the prints on a canvas. I'd love to hear any ideas that you may have! Oh I love great garage sale finds! 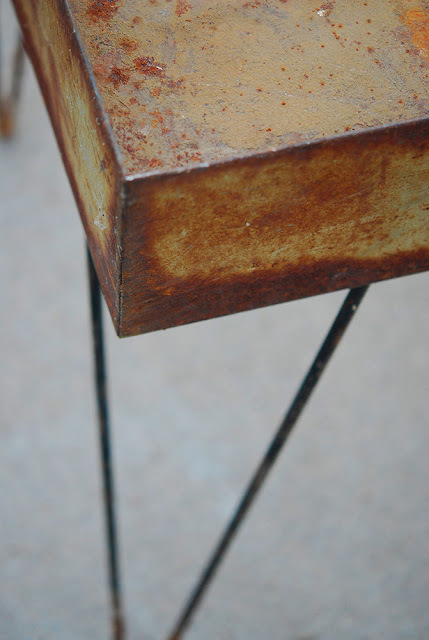 love that table! OMG!!! that table! I am envious! and those scraps - you don't find fabric like that anymore! how about getting a bunch of embroidery hoops (maybe even spray painting all of them the same color) and then stretching the fabric within them and displaying the hoops/fabric that way...just a thought! What a great table. 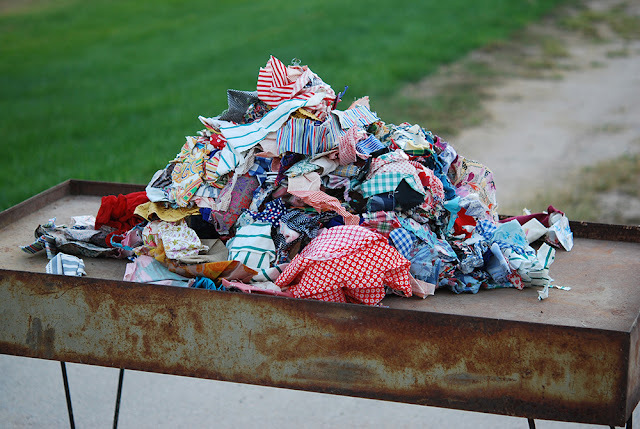 And I'm a sucker for fabric scraps. I'll look forward to seeing what you do with them all. Count me as VERY excited...the table and fabrics are absolutely splendid...you are a VERY good shopper Jill! You DID find a treasure Jill! And it folds up...that's even makes it more awesome. 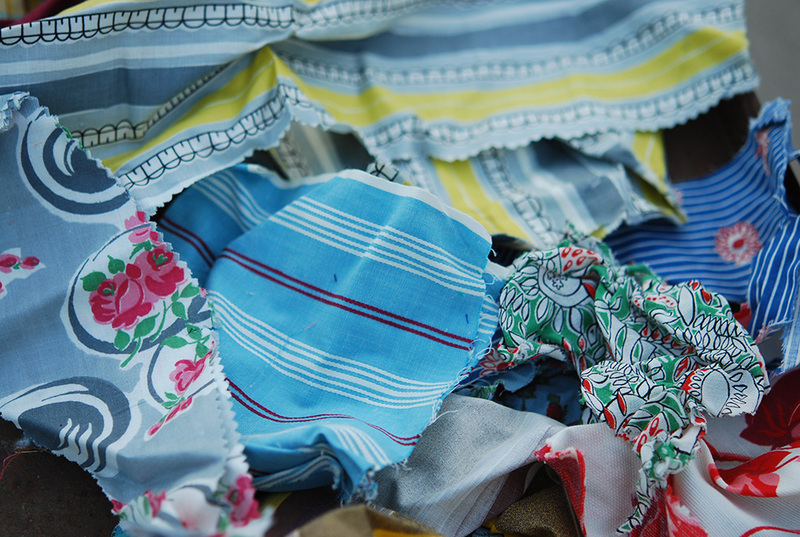 I can't wait to see what you do with it and the great vintage fabrics. I almost always ask about display tables too! :) Oh and the fabric, amazing!